Are you considering braces for yourself or your son or daughter? Congratulations, you’re one step closer to a beautifully straight smile. 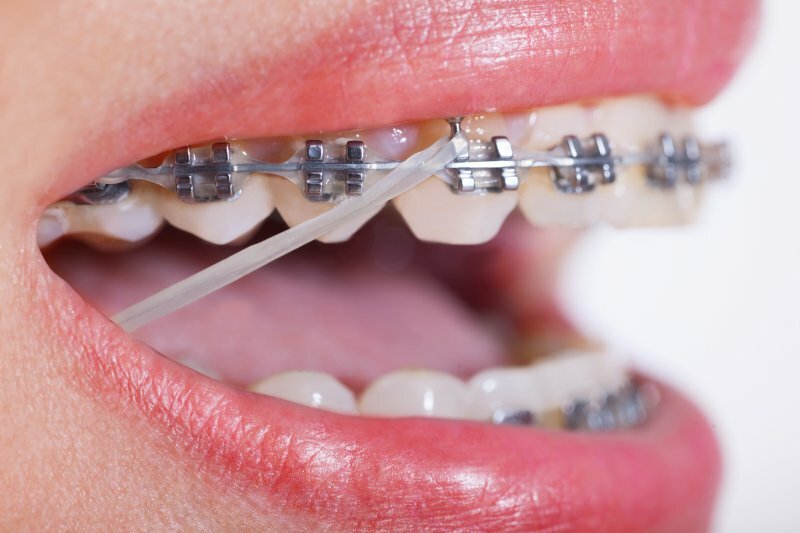 When you receive braces in Sachse, your orthodontist may recommend that you use elastic rubber bands as part of your treatment. But what are these tiny rubber bands and why are they so important? Keep reading to learn the answers as well as some tips for wearing your elastics. Are There Different Kinds of Elastics? Surprisingly, there are different kinds of elastics. Everyone that receives traditional braces will use rubber bands that are looped around each bracket to hold the arch wire in place. These rubber bands, or ligature tires, should only be removed or replaced with a professional. The other type of elastics are called interarch rubber bands. These rubber bands hook to each side of your mouth, stretching from top to bottom. Their main purpose is to correct your bite alignment. These interarch rubber bands are used during the alignment phase of treatment, where they help to correct the way your teeth are positioned in the jaw. Your braces shift your crooked teeth into alignment,while elastics are used to fix your bite (how your teeth come together when you close your mouth). These rubber bands are specifically made to fix your bite and hook around your braces, so you shouldn’t use store-bought rubber bands because they could affect your treatment. You can even choose what color you want your rubber bands to be, so you can straighten your smile in style. What Are Some Tips for Wearing Elastics? Always wear your elastics or exactly as your dentist instructed. You can remove them during meals and while you brush and floss, but you should replace them as soon as you’re finished. Even if they don’t break, you should replace your elastics at least every 8 to 12 hours to make sure you’re using bands that are high-strength. Always keep the replacement rubber bands given to you on your person so they can be replaced if they break or get lost. The pressure caused by the elastics to shift your bite into place can be uncomfortable, but that feeling will decrease overtime. Take over-the-counter pain medication if the discomfort begins to become painful. Well, it looks like rubber bands aren’t just for playing with. Now that you know why those pesky little elastics are so important, use the above tips for a straight smile and an even bite. Dr. Travis Rottman is a Texas native who loves providing quality dentistry and orthodontics to patients of all ages. He attends continuing education courses to stay up-to-date on the latest dental techniques. He currently practices at Sachse Family Dentistry, and he can be contacted through his websiteor by phone at (972) 848-0073 for any questions.